Based on NASA's Apollo Program (1961-1972). First seconds of the command module hitting the Earth's atmosphere after a long spaceflight. 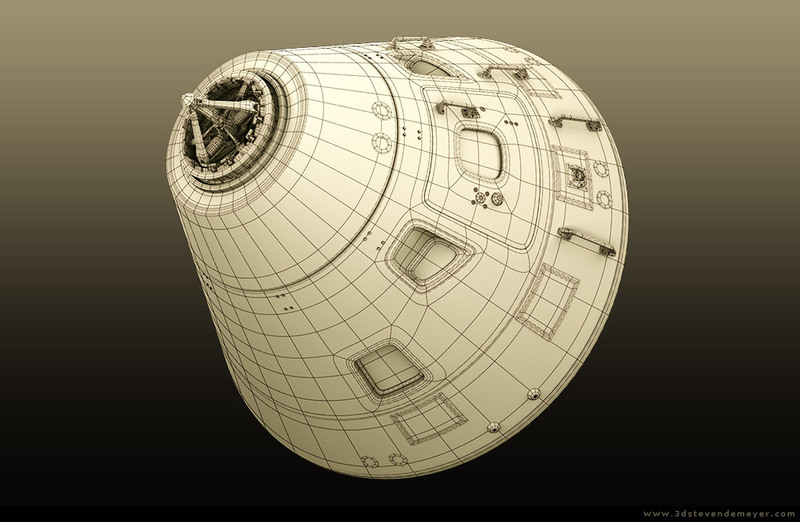 Detail of the command module (subdivision wireframe). 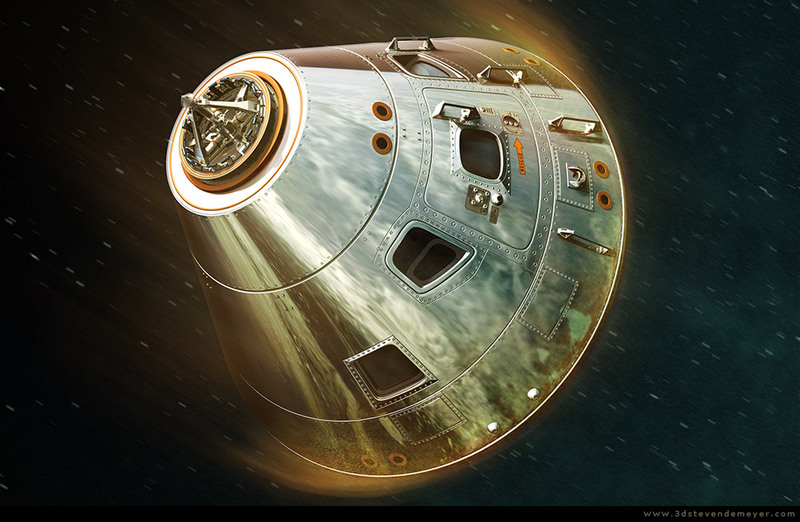 Final rendered image of the command module, used photoshop for the postproduction pass. * First seconds of the command module hitting the Earth's atmosphere after a long spaceflight.